Okay, I know this is probably not a new idea, but this is the first time I actually tried making my own stickers. You can use any pre-made sticker blanks, varying the sizes and shapes to fit your projects. I used these round printable ones I got from The Dollar Tree. I watched some videos on YouTube for inspiration. I used paints, sprays, stamps and ink, scraps of decorative papers, sequins and even tiny alphabet and word stickers to decorate the sticker blanks. Here are some of the stickers I made. Stickers, in general, are really inexpensive to buy. As an artist, I like to create as much of my own projects from scratch as I can, instead of relying on store-bought items. If you want specialty stickers, like inspirational ones, they are really quite expensive. Making your own allows you to customize them to fit every project perfectly while being unique and inexpensive! P.S. Here are some laminated mixed media bookmarks I also made. It’s amazing what big business art and craft supplies has become. I’m guessing billions of dollars each year are spent on all kinds of creative endeavors. And while I do see the need for things like paints , certain adhesives and some specialty tools, I think most crafters spend way too much money on items they don’t really need or could make themselves. After all, if we are supposed to be creative, why do we have to buy the same stuff as everyone else? In an effort to be more original and save money I decided to make my own washi tapes to use in my junk journals and mixed media pieces. Here is a quick run down off the process I used. 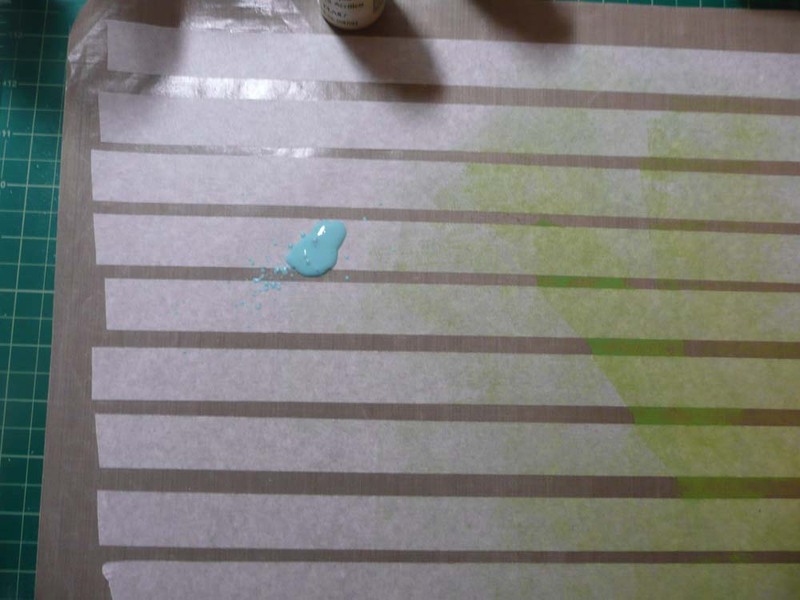 Tape strips of masking tape to a non-stick craft mat (yes, that is a necessary item!). Randomly spread paints over the tape strips. 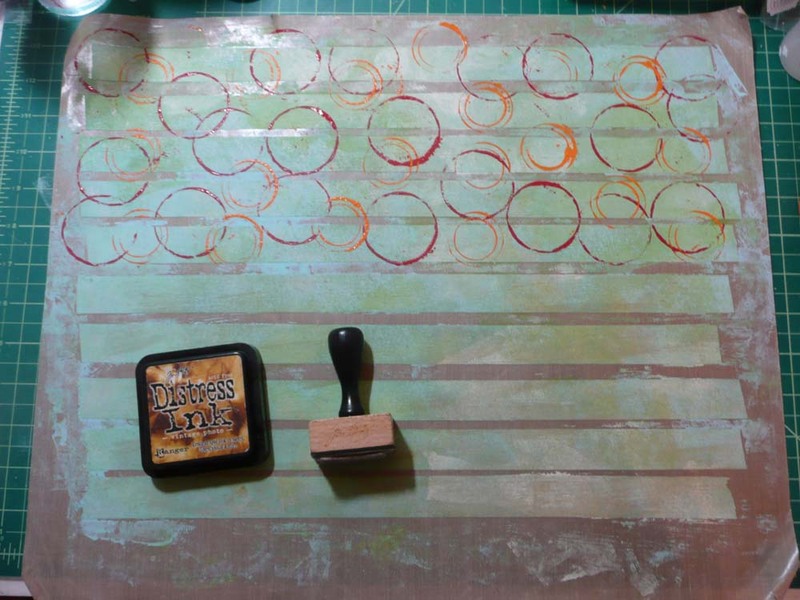 I used a brayer (yes, that is also a necessary art tool!). Make sure all your tape is covered with paint. 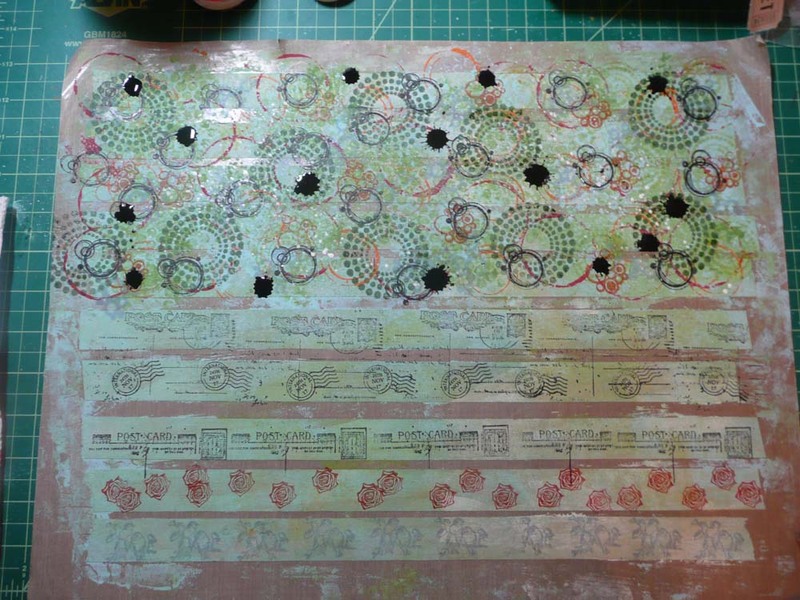 Stamp, paint, draw, ink and anything else you want all over the painted strips. The paint circles on top were made by dipping various lids and tape roll centers in the paint. Here are my finished designs. I just couldn’t leave well enough alone and splattered some India ink on the top strips. 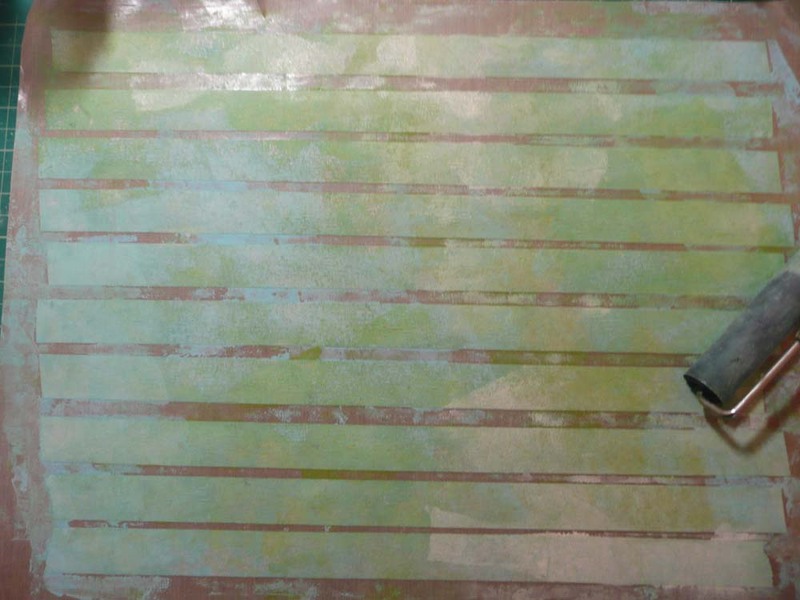 Once the strips are finished and dry, transfer them onto the shiny side of a piece of waxed paper. This allows the tape to be stored without losing it’s stickiness. 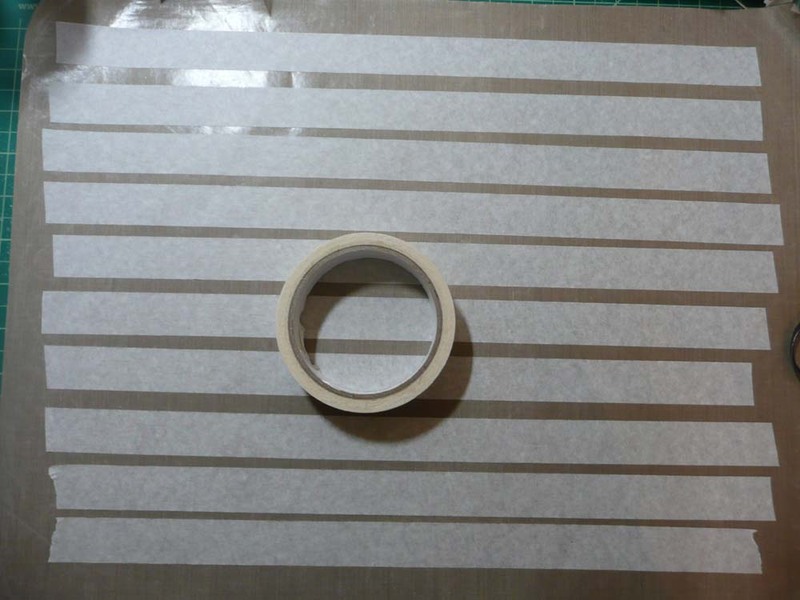 I cut the waxed paper into strips after attaching the masking tape. And here is how I store them. All I have to do is peel the tape off the wax paper and they are ready to use in my projects. So this is my first hand-made “artsy” art supply. 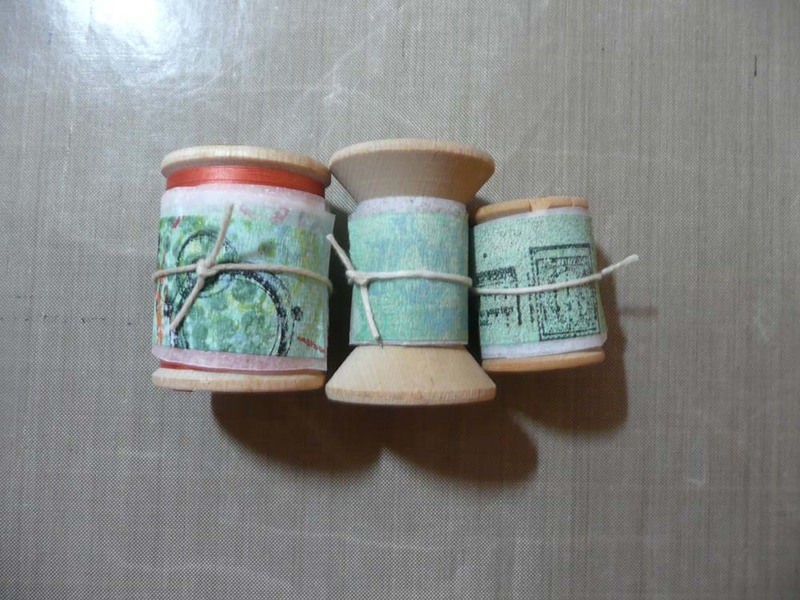 Now you can make washi tape as unique as your projects!